New Delhi [India], Mar 22 (ANI): In a first, Google celebrated renowned German musician Johann Christian Bach with an AI-powered doodle. New Delhi [India], Mar 21 (ANI): Giving out all the colourful festive vibes, Google, on Thursday, dedicated its doodle to the festival of Holi celebrated across India. New Delhi [India], Mar 21 (ANI): Google on Thursday marked the festival of Holi with a colourful doodle showcasing festivities and splashing of colours. California [USA], Mar 20 (ANI): We all have experimented with the old-school MS Paint and let our imaginations run wild. Now, what if those embarrassing doodles could be transformed into actual work of art? 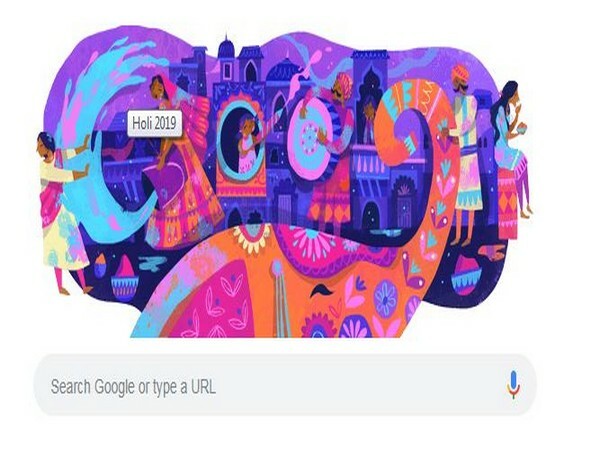 New Delhi (India), March 8 (ANI): Google on Friday celebrated International Women's Day 2019 with a collection of inspirational quotes across various languages by thirteen international female trailblazers. New Delhi [India], Feb 19 (ANI): Amul has celebrated Amitabh Bachchan completing 50 years in cinema with an adorable doodle. New Delhi [India], Feb 14 (ANI): Google Doodle on Thursday honoured late legendary actress Madhubala on her 86th anniversary. New Delhi [India], Jan 26 (ANI): As India marked its 70th Republic Day today, search engine Google joined in the celebrations with a colourful doodle, featuring Rashtrapati Bhavan in the background along with a display of the country's iconic monuments and heritage. New Delhi [India], Jan 14 (ANI): Google's honourary doodle today was a nod to Anglo-Indian traveller and businessman Sake Dean Mahomed who not only became the first Indian author to publish a book in English, but would go on later, to open an Indian restaurant in England. New Delhi [India], Dec 26 (ANI): Google Doodle on Wednesday paid tribute to social worker and activist Murlidhar Devidas Amte, affectionately known as Baba Amte (Father Amte) on his 104th birthday anniversary.